Did you know that 95 percent of iOS users in the US stick to the system’s default browser, Safari? We believe that the only thing Safari is currently really best at is at being the default browser. That’s why it’s high time to challenge it with something better, Opera Touch. We encourage all of the iPhone users among you to give it a try – it just might be better than your current browser! 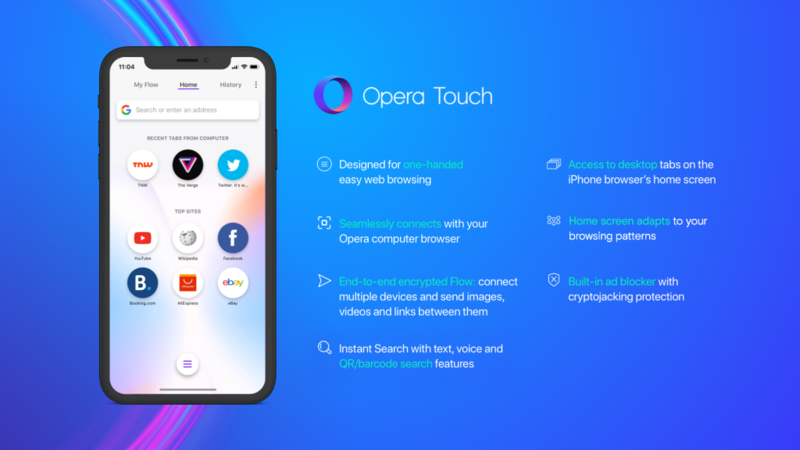 But, what is Opera Touch? 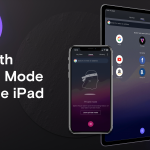 It’s a browser we made that combines high-end technology with impactful aesthetics to address the needs of iPhone users who want something more than their default browser. 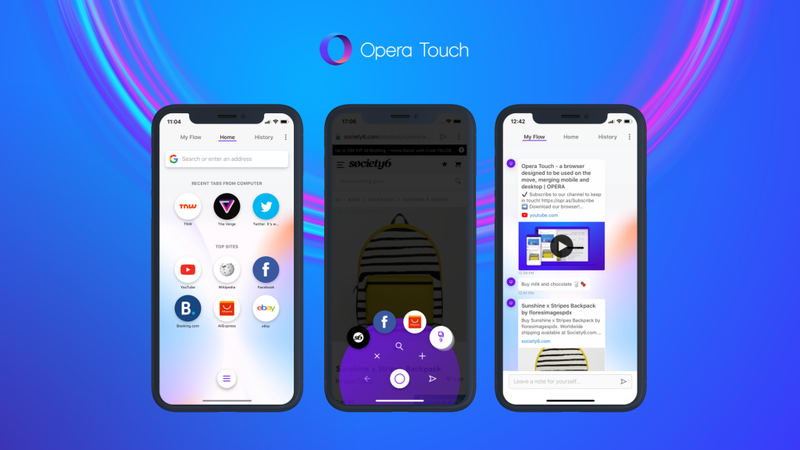 We are releasing Opera Touch just in time for Apple’s new iPhone XS, XS Max and XR because we believe that our browser is the perfect one to make these new devices really shine. Today’s new phones have big, beautiful displays, but conventional browsers are yet to adapt to this development. Our product is aimed at people who want to fully appreciate their iPhones. According to data from StatCounter, only five out of every 100 iOS users in the US currently choose to divert from their device’s default browser, Safari. We’ve witnessed this situation before with a web browser reaching a dominant market position. This slows a web browser’s progress. That’s precisely why we want to propose something new: a carefully designed browser that gives iPhone users a better web experience on their beautiful phones. 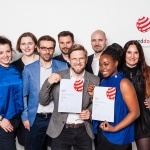 The Android version of Opera Touch won the Red Dot Communication Design Award 2018 for its unique user interface, which solves some of the current finger-gymnastics smartphone users struggle with in their everyday lives. The new iPhone XS Max has nearly twice the display size of the original iPhone that premiered in 2007. We believe that this shift in size calls for big changes in browser design. With Opera Touch we made it faster and easier to browse the web when on the go. This is especially useful when you’re using a smartphone with a large display. But we wouldn’t be us if we didn’t discuss the features we have packed into our brand new browser. You will find that, since the Android launch, we have added some new ones and kept working on our product. People want to quickly find something online and move on with their lives. That’s why Opera has reduced the number of steps before they can start their search upon opening the browser to zero. The first thing you will notice in Opera Touch is that the browser starts in search mode and is instantly ready to find things on the web. The keyboard is up and the address bar cursor is blinking. The UI’s core elements are also conveniently located at the bottom of the screen, which makes them easy to reach. The Fast Action Button in the bottom middle of the screen holds all of the browser’s key function, including access to your most recent tabs and search. Flow connects your devices – did we mention it’s encrypted? 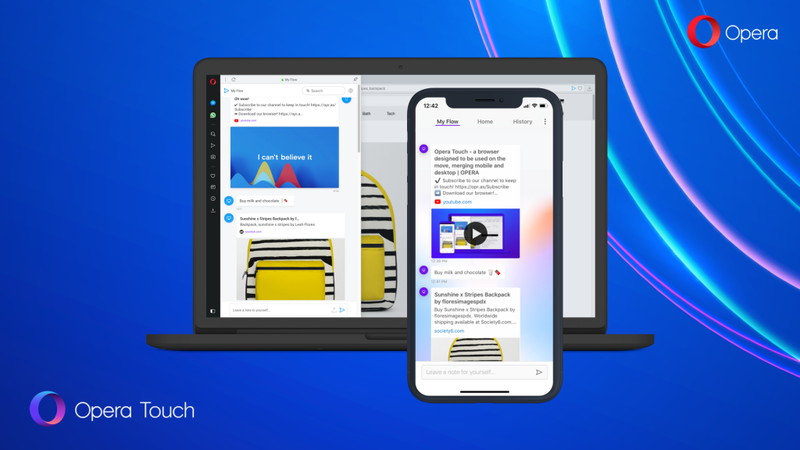 A final addition which rounds up the browsing experience is Flow, Opera’s innovative way of allowing users to share links, images, videos or notes with themselves. It is available both in Opera Touch and in the Opera computer browser. And the good news? It doesn’t require any logins or passwords – you simply scan a QR code displayed on your Opera desktop browser’s screen with Opera Touch and you’re good to go. Whenever an item, such as a scan of medical results or a website with top restaurants to check out, is added to the Flow on one device, the other one instantly receives it. Flow is end-to-end encrypted, and works independently of operating systems and manufacturers. That’s right: once you have established your Flow, Opera Touch will also display the most recent tabs from you desktop browser. The browser will also adapt to you. Your favorite sites will automatically be added to the browser’s home screen. 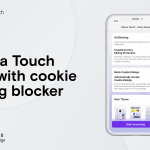 We have also worked the a built-in ad blocker and cryptojacking protection into Opera Touch to keep you browsing safely and without interruptions. To check if your browser is safe from cryptojacking, click here to run a test. 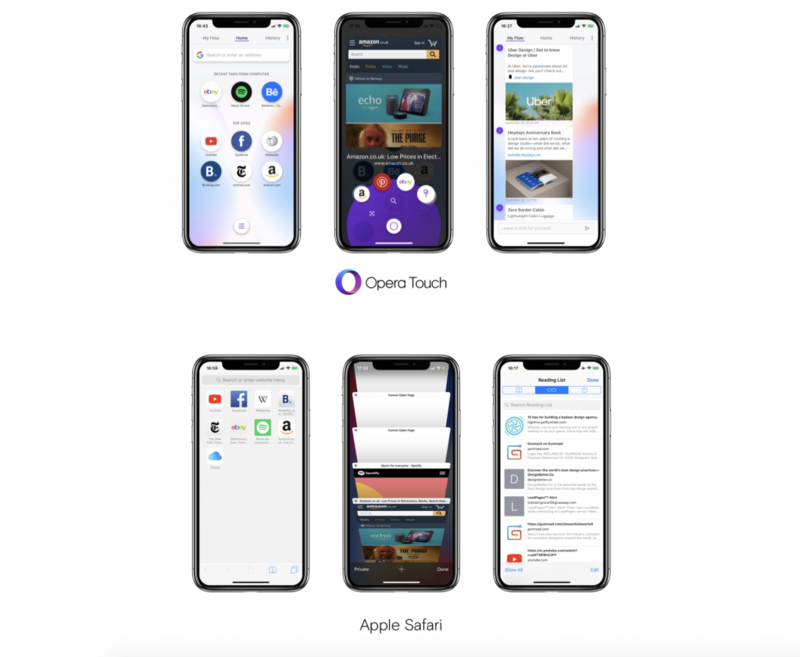 As you can see, even though it’s the very first version of Opera Touch for iPhone, it’s packed with features and we will be adding even more soon. So, how does Opera Touch compare to Safari? We’ll let you see for yourself. To prove our point, we have prepared a visual comparison of some key features in Opera Touch and Safari. Looking at the image, you will notice that the home screen in Opera Touch looks more modern. It not only dynamically adapts to your browsing patterns, displaying your favorite websites, but also displays the last tabs from your computer browser. The Fast Action Button in Opera Touch (pictured in the middle) gives you access to your most recent websites, making it very easy to multitask and switch between them. This is unlike a traditional tab view, which simply lists tabs sorted by the date they were created. The device on the right shows Flow, Opera’s stream of things you can save for later and share across your devices. You can add links, notes, images and videos to Flow, which makes it a more versatile solution, fit for modern browsing patterns. Well, that’s it from us. We hope you give your browser some thought and start browsing with Opera Touch! Opera Touch for iOS will be available for download from the App Store starting on Oct. 1. The Android version can be downloaded from the Google Play store. 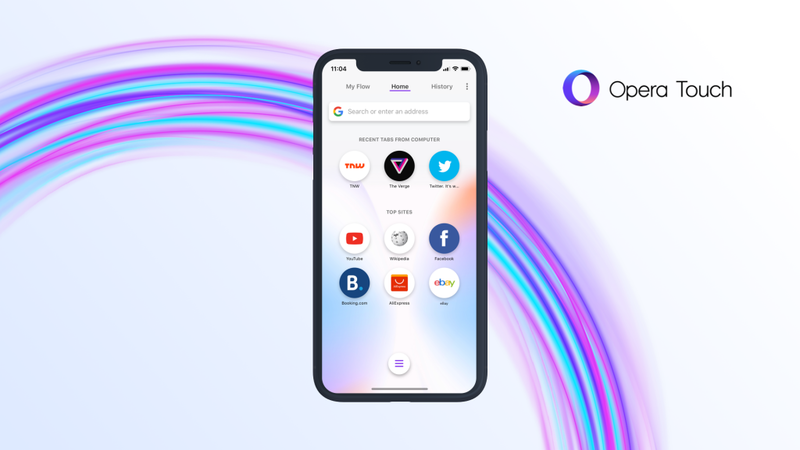 Founded in 1995 in Norway, Opera delivers browsers and AI-driven content delivery solutions to 322 million people worldwide. Opera is listed on Nasdaq under the OPRA ticker symbol.